A 5 ingredient cake? YUP! You read that right! Today, for this week’s Five Ingredient Friday (this super special last Five Ingredient Friday before my cookbook comes out next week) I am sharing this recipe for a 5 ingredient cake from my cookbook Fast and Easy Five-Ingredient Recipes: A Cookbook for Busy People. 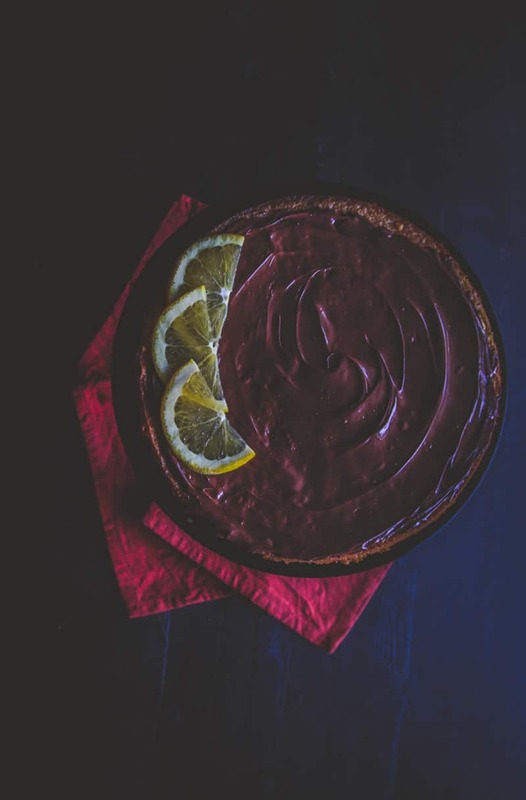 Not just any cake, but a super delicious orange chocolate almond torte. This delicate torte is almost like a sponge cake. It’s super light, but at the same time it is rich and flavorful. 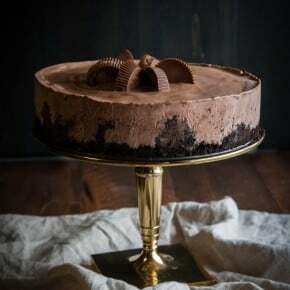 A torte is typically a cake made with little to no flour, and in this recipe there is no flour because it uses almond meal from Bob’s Red Mill, and so as a bonus this cake is gluten-free! 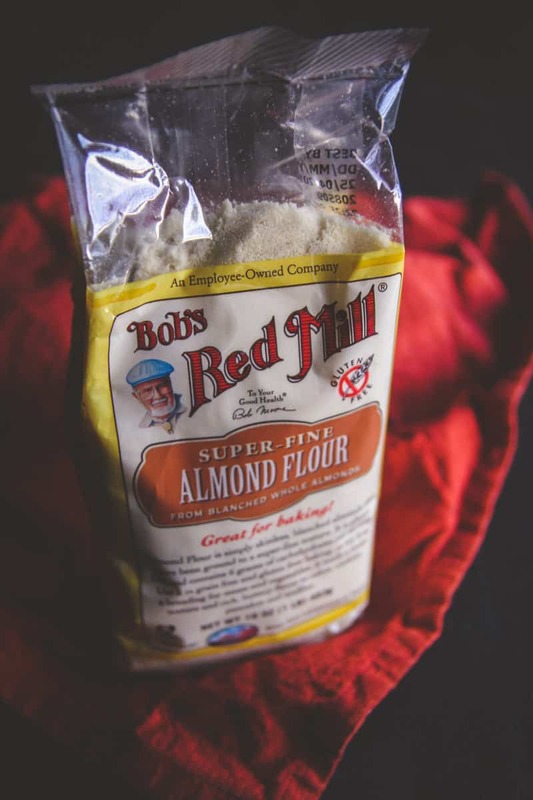 You know how much I love Bob’s Red Mill products from when I made slightly sweet skillet cornbread, and when I was creating my cookbook, I gotta tell you – I relied HEAVILY on their products. For example, their flours, I used them throughout the book -SO good, and truly the best! Bob’s has sparkling sugar, so when I made Sugar Cookies for the book (such a delish recipe too) I used their sugar and flour as key ingredients. And oats – yes, Bob’s has the best quick cooking oats. It’s a true love type situation. Their products are the best and I use them all the time, I cannot recommend them highly enough! 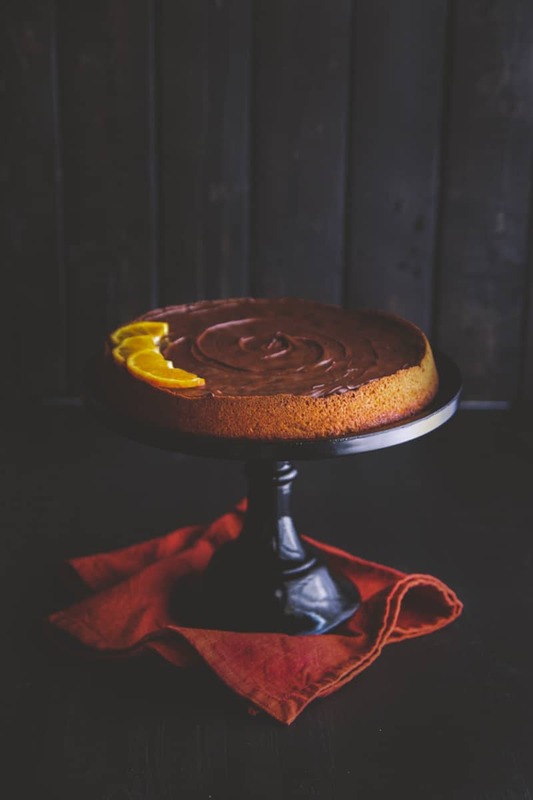 The flavor of almonds and almond-desserts has always held a special place in my heart, combine that with orange and chocolate – let me tell you, it’s delicious! When I was testing this recipe for the cookbook, I didn’t believe it came out so good the first time I made it. I thought it was a fluke or something, so I made it again – again it was amazing. Then I made it a third time. Keep in mind this is all in the span of like 3 weeks- I’m pretty sure my hubby at one point said “is there a reason you keep making this cake?” and with a mouthful of cake I think I said “because I can’t believe how good it is” LOL. Another little story about this cake – until one of my best friends (Lynn) told me the actual definition of a torte (a cake that uses little no flour), I had always thought tortes were just another name for superfancy cakes (lol). Now, whenever I make tortes, I carry the feeling of being fancy, while actually knowing the definition. Yes, it may be a fancy cake, but it is not hard to make. The key to making the cake is to get a good almond meal (Bob’s Red Mill makes the one I use, it’s found in the baking aisle or gluten-free aisle at most grocery stores) and to whip the egg whites properly. I always start by beating the egg whites; that way I know that step is done right. If you get anything in the egg whites (such as some yolk parts or sugar), they will not form the desired peaks. You want soft peaks, when want them to stick to a spoon when held upside down. Whether you’re here (on sweetphi.com) for this cake recipe or have been following along my cookbook process, I just want to say thank you so much, so I’m doing a little giveaway. Leave a comment telling me your favorite grain to cook/bake with and why and you’ll be entered to win a $50 gift card to Bob’s Red Mill AND a copy of my cookbook! Winner will be chosen 7/25 (US entrants only). Preheat the oven to 350°F. Line a springform pan with parchment paper and spray with cooking spray. Separate the egg whites and yolks into two separate bowls. With a hand (or stand) mixer, beat the egg whites until soft peaks form, about 3 minutes (see notes). Beat the egg yolks until creamy in color, 1 minute, then slowly add the sugar and beat until the mixture thickens slightly, 1 minute. Add the almond meal, the orange zest, and 2 tablespoons of the orange juice and beat until combined, 1 minute. With a spatula, fold one-third of the egg whites into the almond flour mixture (always folding under). 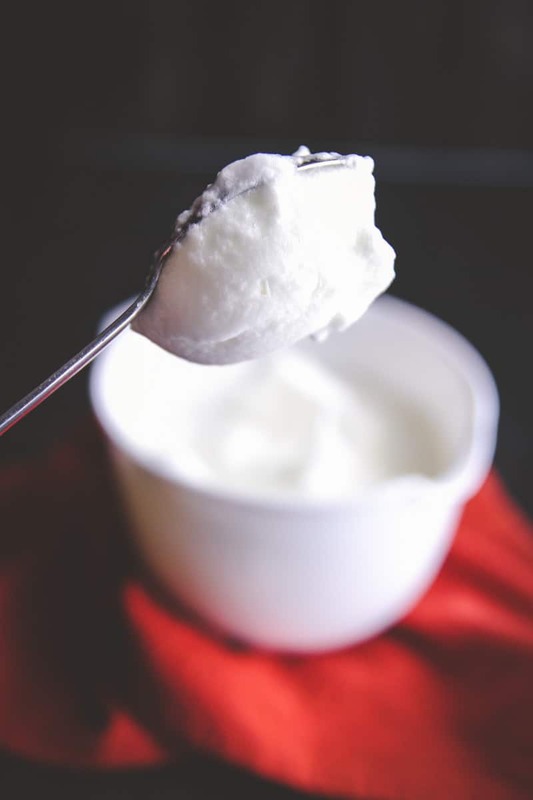 When incorporated, fold another third of the egg whites into the almond flour mixture, and then the remaining third of egg whites should be folded in. Pour the batter into prepared springform pan and bake for 30 minutes, or until a toothpick comes out clean (the center may look a little jiggly still, but the toothpick should come out clean). Remove from the oven and allow the cake to cool. Gently run a butter knife around the edges of the cake and remove the springform pan. Place the cake on a plate. Microwave the chocolate chips in a microwave-safe bowl for 30 seconds on HIGH , stir, then microwave in 30-second intervals, stirring in between until the chocolate has melted (mine usually takes 2 minutes, or 2 intervals of heating). Pour the chocolate over the top of the cake and allow it to cool (it will harden - I like to run a knife where I would cut the slices so it's easier to cut when the cake is cooled). Cut the torte into slices and enjoy. Almond meal can be found in most major grocery stores, in the baking or gluten-free aisle. The key to this light and fluffy cake is the beaten egg whites. I always start by beating the egg whites; that way I know that step is done right. If you get anything in the egg whites (such as some yolk parts or sugar), they will not form the desired peaks. This post is brought to you by my partnership Bob’s Red Mill, a company whose products I truly use and love. Giveaway is brought to you by yours truly. Thank you for supporting the brands that make the Sweetphi blog possible, as always, all thoughts and opinions are mine alone. I love almond meal and anything that is made with it!!! This cake looks fantastic!!! Thank you so much, this cake is definitely a must-make 😉 And thank you for your kind words about my book, I think you’d love it! I love this recipe and your explanations- I didn’t know what makes a cake a torte, but I’ve been “flour-less cake” fan for years! I use quinoa all the time and frequently make it ahead & use it in multiple recipes. Yay- so glad you liked this recipe – thank you Darci! And yum, quinoa! I love making it ahead too, saves so much time, doesn’t it? Hi Phi, this recipe looks awesome! I rarely bake a cake since going gluten-free. You have combined chocolate and orange, a match made in heaven! I can’t wait to try it! One of my favorite grains is rice. I just saw some one make homemade rice patties for use as burger buns. Might have to try that. I had almost given up using any grains at all, since I have a problem with gluten. 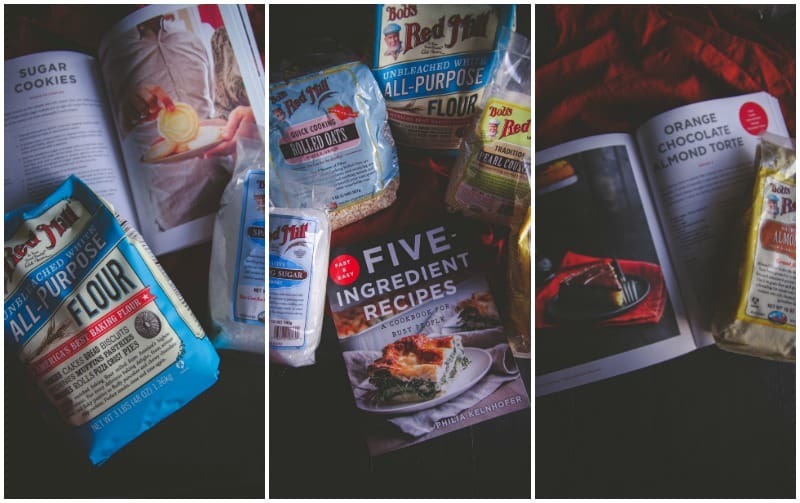 Then I tried Bob’s Red Mill Gluten Free 1-to-1 Baking Flour. I had tried others, but this flour tastes good and has a very smooth texture, like my old school baking flour, and I don’t have to add any additional expensive ingredients. My husband who has such a problem with all my “gluten-free” labeled items, doesn’t even notice the difference! this looks delicious!! Do you think it would freeze well? That’s a great question. I do think it would freeze well, I’ve never tried it, so if you do I’d love to know how it went for you. I love oats! I can bake with them, use them as a binding agent, and make facial scrubs almost good enough to to eat. Oats are totally versatile – and I love how you pointed out how good they are for your skin 😉 Thank you for commenting! 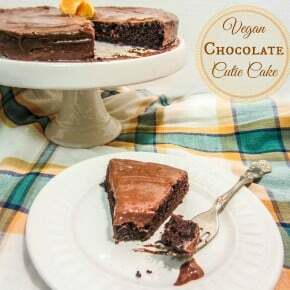 I love th simplicity of this torte and the fact that it’s gluten free? Home run! I have to try it! I tend to lean more toward recipes that use old fashioned oats. They are versatile – you can keep them whole or grind them into a flour depending on what you are making. I would say my favorite grain has to be old fashioned oats. I love how hearty and filling they are. 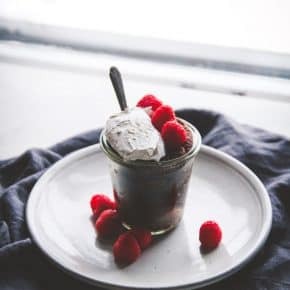 I am new to your blog, I saw one of your cookbook recipes over on Dessert for Two and just had to check out your blog, I love the idea of making dessert (or dinner) with only 5 ingredients. This book will definitely make it on my cookbooks to buy list. I’m currently playing with cooked millet in some baking experiments – I get my millet from Bob, of COURSE!! Love the Bob’s Red Mill products – as you say, they are the BEST!! The concept of 5 ingredient recipes is so fun, I’m looking forward to your book – congratulations, what a project!! I love millet – hope it turns out great for you, bobs is definitely the BEST 🙂 and thank you for the congratulations about my book, I really appreciate that! I love rice & especially love using it in burritos to make them more filling. Don’t think i’ve ever tried this cake. Sounds so good. Thanks for sharing this recipe. will be giving this a go. This recipe is amazing! GF or not, it’s one of my favorite desserts. Like an orange Pims cookie in a torte. Easy to make, simple and elegant. Do you think egg substitute would work for this? Thanks for answering! Great question. 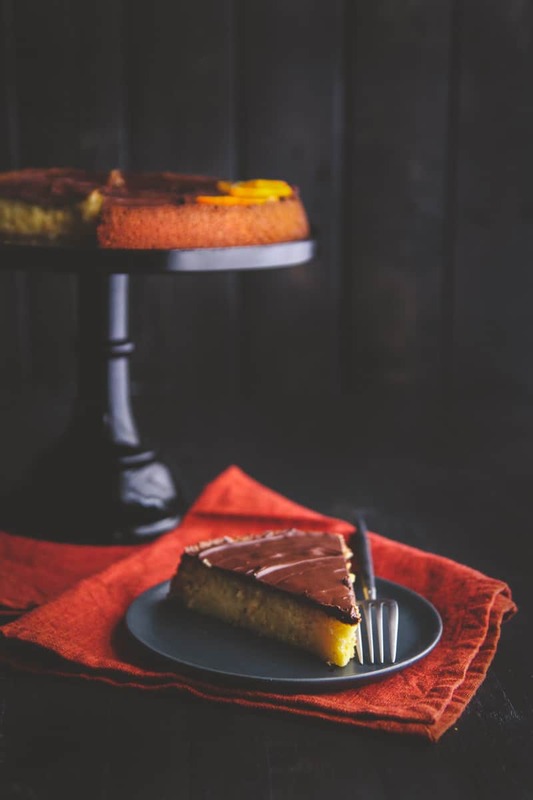 I haven’t tried this with egg-substitutes, and I unfortunately do not think they would work, because the recipe calls for separating of egg whites and egg yolks, and egg substitutes combine them, so the cake wouldn’t have the same texture or height you’d be looking for. Looks good. Could you tell me what size springform pan to use? Don’t see that in the recipe. Thanks.